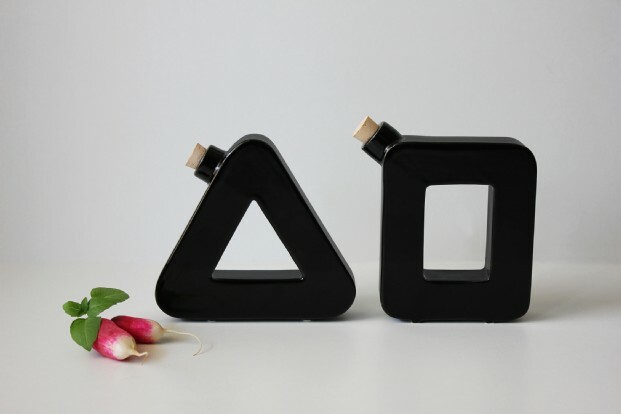 Bringing fun also in the kitchen, the concept of Dan oil-vinegar set is to achieve a visual but also tactile recognition of the object, and it does so through the materialization of the letters. Without falling into obvious, the oil container callout has the shape of the letter "O", while that of vinegar recalls a "V". An ingenious and at the same time so immediate way to distinguish and make new objects that we use daily, giving them an original shape but with clean and simple lines.